Several exceptionally helpful, relevant books have hit the market since my last round-up of recommended books for content marketers. 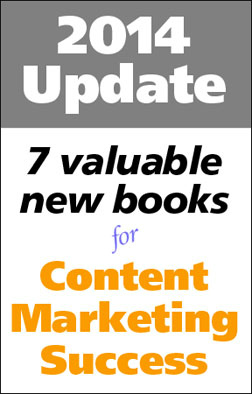 The seven books outlined below complement essential content marketing guides like Joe Pulizzi’s Epic Content, Jay Baer’s Youtility and Andy Crestodina’s Content Chemistry. Though they offer a narrower perspective than the above books, they compensate by going deeper into specialized topics that are essential for successful content marketing, such as creativity, presentations, productivity and visual thinking. Individually, each of the following books can make a major contribution to the content marketing experience you, or your team, must deliver on a consistent basis. But together, they create a library of the latest thinking that can inspire and energize by providing fresh perspectives and new tools. 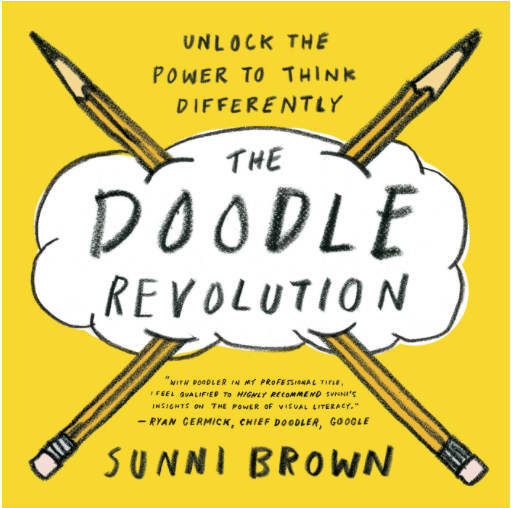 Sunni Brown’s Doodle Revolution describes a fresh approach to visual thinking, showing how everyone can tap into the power of doodling — one of the most overlooked tools used by creative thinkers as diverse as Steve Jobs, Albert Einstein and Nikola Tesla. Although frequently disparaged, doodling forms a link between the left and right hemispheres of the brain, unlocking the power of visual thinking to enhance content marketers’ creativity and ability to share ideas with others. Brown begins by addressing both the reasons doodling is frequently overlooked as a creative tool and the frequently heard objection, “I can’t draw!” She then provides a capsule course in the anatomy of a doodle, showing the basics of hand-drawing text and simple graphics. Each chapter contains assessments and exercises, helping readers build their confidence as they familiarize themselves with the simple building blocks of a storytelling graphic. Although the primary focus of Carmine Gallo’s Talk Like TED is on public speaking and presenting, its importance transcends presentations; you can apply its lessons to any type of successful content marketing project. Carmine Gallo, a communications consultant whose previous bestsellers included The Presentation Secrets of Steve Jobs and The Creativity Secrets of Steve Jobs, analyzed hundreds of the most popular TED presentations and interviewed their creators. He then distilled their best practices into the nine lessons described in this book. 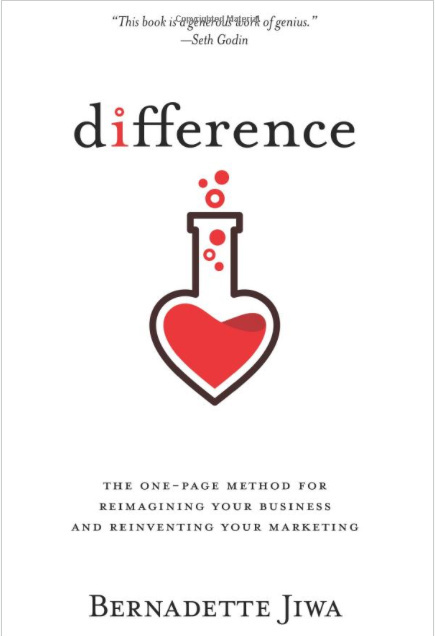 Many authors talk about the importance of continually reinventing yourself and your business by focusing on what makes you different from your competition. However, most books skirt the issue of how to identify those differences so you can communicate more effectively. Jiwa’s Difference is one of the few that actually provides a methodology (the 6-pillar Difference Method) and a tool (the Difference Map) to help you identify your points of distinction. 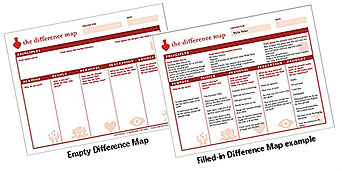 Working with the downloadable Difference Map template and referring to the completed Difference Maps she provides reinforces the book’s lessons and makes it easy to develop a fresh perspective on your firm’s (or your client’s) key differences. 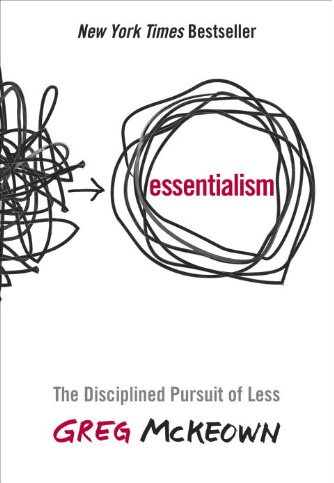 Greg McKeown’s Essentialism takes the idea of single-minded focus (described in Gary Keller and Jay Papasan’s The ONE Thing: The Surprisingly Simple Truth Behind Extraordinary Results, which I discussed in my last book round-up) to the next level. Essentialism‘s four sections describe 19 tactics that business owners and managers can use to distance themselves from distraction and disturbance without alienating coworkers. Most involve selection, delegation and clarifying. Each of the 19 tactics is illustrated with anecdotes and stories, supported by the latest psychological research. There are also ideas and tips for implementing the ideas, backed up by a visual summary you can photocopy and hang on the wall. In addition, page 111 contains a simple SELECTIVITY exercise to help you identify relevant criteria for your decisions. 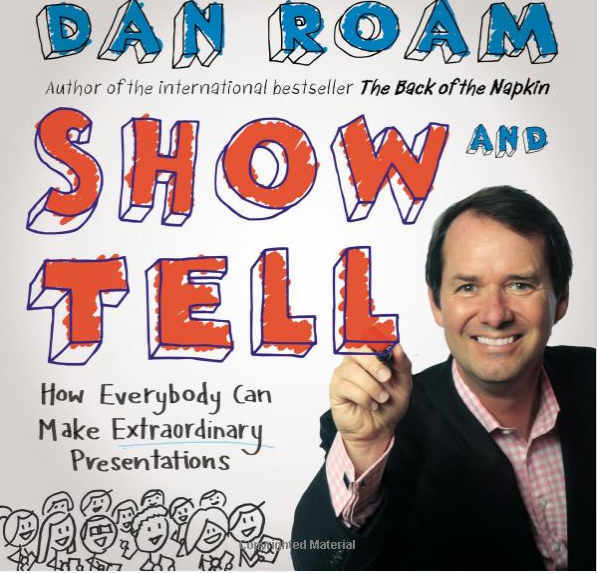 Several years ago, Dan Roam’s Back of the Napkin: Solving Problems and Selling Ideas with Pictures, legitimized “amateur” drawings as a communications tool. His “everyone-can-draw” approach has had a major effect on collaboration, innovation and presentations in business. Tell it with a story. Tell the story with pictures. Show and Tell includes an example of the timeline appropriate for each type of annotation, along with notes for each step in the story’s development. Once you begin thinking about other types of content marketing projects in terms of Dan’s universal presentation tools, you’ll find it easier to organize and plan your presentation text and graphics before you turn to PowerPoint slides. 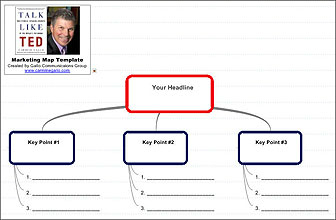 You’ll probably find Dan’s storyline examples relevant for other types of content, as well. Marketing the Moon is the first content marketing case study to move from the home office to the living room coffee table. It’s an exhaustively researched, carefully written and graphically rich book that contains hundreds of photographs and images of documents (like memos and letters) not usually accessible. As David Meerman Scott and Richard Jurek describe in Marketing the Moon, however, the Apollo Lunar Program (begun 50 years ago this year) deserves recognition for its innovative approach to content and a story that helped change course of history. Ultimately, the success of the Apollo Lunar Program was based on NASA’s focus on content and story, not “pushing an agenda.” Rather than restricting access, NASA provided unprecedented access to the players — in particular, the astronauts — allowing the media and players (including vendors) to tell the story everywhere — including Tomorrowland segments of the Disneyland prime-time television show. As a result of this early example of “letting go of the conversation,” America’s media and citizens “bought into” the story of Apollo and willingly supported the huge expenditures, which made the successful moon landing and return possible. 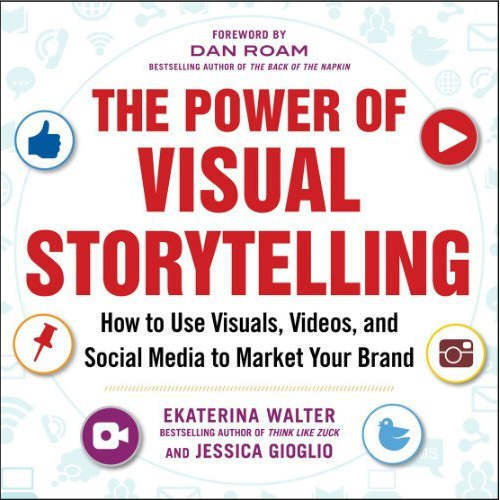 The Power of Visual Storytelling provides a detailed overview of what you need to know to take the visual content marketing to the next level. It describes the importance of visual marketing, introduces seven elements of visual storytelling and summarizes the key advantages and bests practices of the major social media platforms. It can also be used to help you evaluate your current visual content efforts and locate the resources you may need to create compelling graphics. At every step, there are useful lists of best practices, options, questions, tips and tools. Best of all, the extensive lists are keyed to specific platforms topics, such as tips for engaging on Facebook, Tumblr, SlideShare, etc. One of the most useful lists provided is on image sizes to use for the popular social media platforms. The number of options available reinforces the importance of obtaining the right resources (described earlier) for adding text to graphics and taking full advantage of the image placement options available. Design plays an important role in each of these books: The page design for each of these books is as carefully considered as the cover design. In many cases, the text and graphics found on the left- and right-hand-facing pages were designed together. In many cases, topics are restricted to the two-page spreads. This required extra work, editing text and graphics to make everything fit. This approach pays off by creating books that are visual treats that stand apart from their competition. 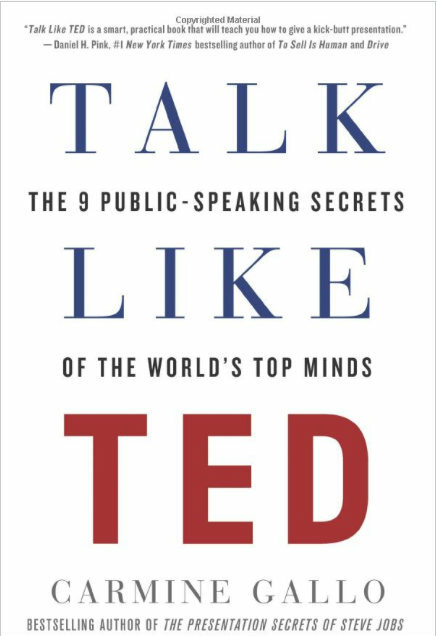 Each book contains more than just the author’s ideas: Talk Like TED, for example, reflects the personal insights of many of the creators of many of the most popular TED talks in different categories. 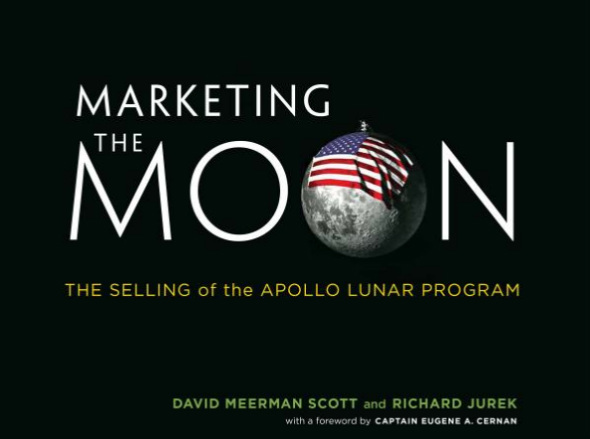 Marketing the Moon benefits heavily from David Meerman Scott’s and Richard Jurek’s conversations with astronauts that took place during astronaut gatherings over the past few decades. Engaging and action-oriented: The books do more than share ideas. They’re filled with worksheets, templates, exercises and questions to encourage interaction and application. Publishing best practices: In their own way, each of the books reflects the kind of content that today’s readers are looking for. The books are visually oriented and tightly organized. They are typically organized into sections, containing relatively short, focused chapters. Studying these books will help you organize long-form content for your own content, like eBooks, premiums and white papers. All in all, the seven books reflect well on the current state of publishing informed, practical books about content marketing topics in 2014. Best of all, if the above books are any indication of what’s likely to appear during the remainder of 2014, we all have a lot to look forward to — especially as Content Marketing World 2014 approaches. If you’ve read any of the above, or feel I’ve overlooked one of your favorite creativity, presentations, productivity or visual-thinking books published during 2014, please share your impressions or suggestions, below, as comments. Looking to read up on the latest strategies and techniques for successful content marketing? Browse CMI’s Essential #BestBooksReading List for Content Marketers to see Roger Parker’s other top recommendations.